Touch is essential for hand use. Yet, brain-controlled prosthetic limbs have not been endowed with this critical sense. 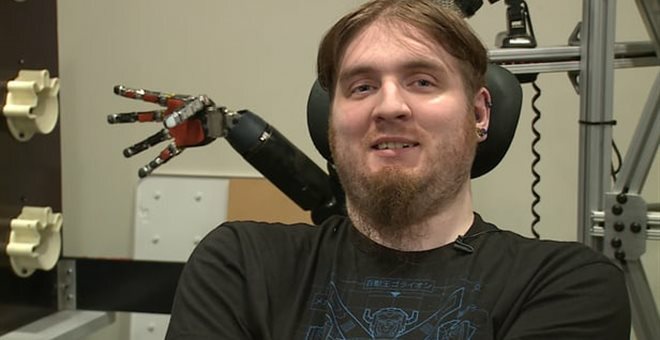 In a new study by Flesher et al., microelectrode arrays were implanted into the primary somatosensory cortex of a person with spinal cord injury and, by delivering current through the electrodes, generated sensations of touch that were perceived as coming from his own paralyzed hand. These sensations often felt like pressure, could be graded in intensity, and were stable for months. The authors suggest that this approach could be used to convey information about contact location and pressure necessary for prosthetic hands to interact with objects.